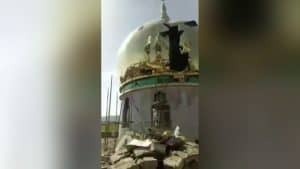 In authorities’ harsh crackdown on religions and beliefs, the use of sensitive words in China can also turn into a reason for being arrested and convicted. 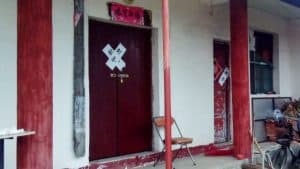 That’s the ugly lesson Mr. Huang, a villager in Xiayi County in Shangqiu city in central China’s Henan Province, learned the hard way on November 26, 2018, after he used an ink brush to write the Chinese character “忍” (rěn, meaning “forbearance” or “to endure”) on the street-facing courtyard wall of his own home. The police then searched the home, rummaging through each and every room, even prying open a sewing machine to check it. Unable to find any suspicious items, the police wouldn’t give up. They drove to Mr. Huang’s workplace to question him about his intention in writing the “forbearance” character. The police then took Mr. Huang into custody to interrogate him further. 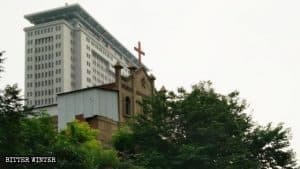 After one of Mr. Huang’s relatives, who is a government official, pleaded on Mr. Huang’s behalf and ensured that he did not have any religious beliefs, the police reluctantly agreed to release him. Jiang Linghua, a resident of Yancheng City in Jiangsu Province, was not so lucky. For two years since 1997, Jiang Linghua practiced Falun Gong with some friends and relatives until the Chinese government launched a comprehensive crackdown on this new religious movement in 1999. She stopped practicing right afterward. However, she never expected that although 16 years had passed, she would be arrested and sentenced to prison because of her online user name. On October 13, 2015, Jiang Linghua was at her store when more than 20 plainclothes police officers suddenly surrounded her. Without presenting a search warrant, the police wantonly searched her store. 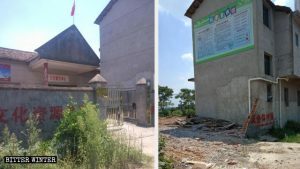 After finding a hand-copied book with Falun Gong-related contents, the police forcibly took her to the local police station. During the interrogation, the police stated that Jiang’s QQ – instant messaging platform – username 经法好大, jīng fǎ hǎo dà, meaning “Buddhist verses are very good,” is similar to the slogan often used by Falun Gong practitioners – “法轮大法好, Fǎ lún dà fǎ hǎo, meaning, “Falun Gong is very good.” Besides, Jiang’s Qzone account – a social networking site –also contained 25 articles attributed to Falun Gong. The police used this to assert that Jiang Linghua was still practicing Falun Gong, and forced her to give the names of other Falun Gong practitioners. Jiang explained that she didn’t have anything else in mind when choosing her QQ username and that the articles were just forwarded to her by someone else. She said that she hadn’t even finished reading them. The police then threatened the future of her close relatives to force Jiang to sign and admit her guilt. 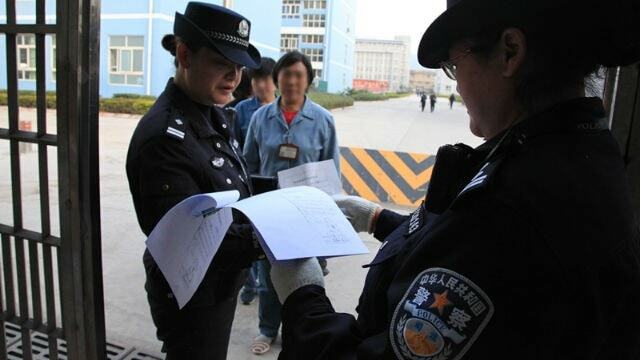 The police also deceived her by saying that as long as she follows their instructions and admits that she believes in Falun Gong, she would be released soon. Jiang took them for their word and signed her name. Only after the police obtained this “criminal evidence” did they indict her for “using a xie jiao organization to undermine law enforcement.” She was sentenced to one year and six months in prison. Jiang recalled that while in custody, she was forced to watch indoctrination videos every day and was often bullied. Living conditions in the prison were terrible, causing her to experience severe hair loss. For a while, she even thought about committing suicide. Since Jiang Linghua’s arrest, there was no one to manage her store, resulting in economic losses of over 200,000 RMB (about $28,500). 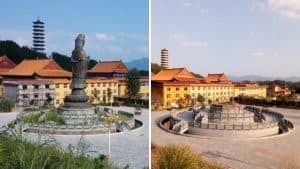 “I suffered the injustice of being jailed for one and a half years for no reason at all,” she said, adding that since her 2017 release, government personnel still frequently call her to ask whether she practices Falun Gong.